Virtual Reality (VR) can be used for mice to investigate brain functions during decision making. 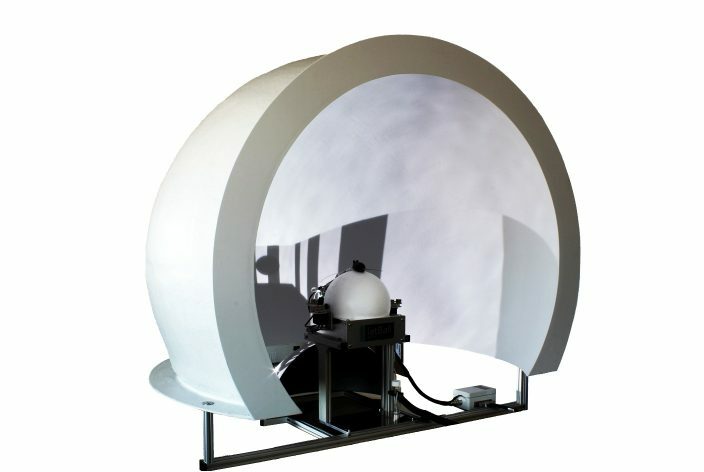 The JetBall-Dome is a worldwide unique product with a Dome for mirror projection of a virtual environment and a spherical treadmill with optional operant devices. 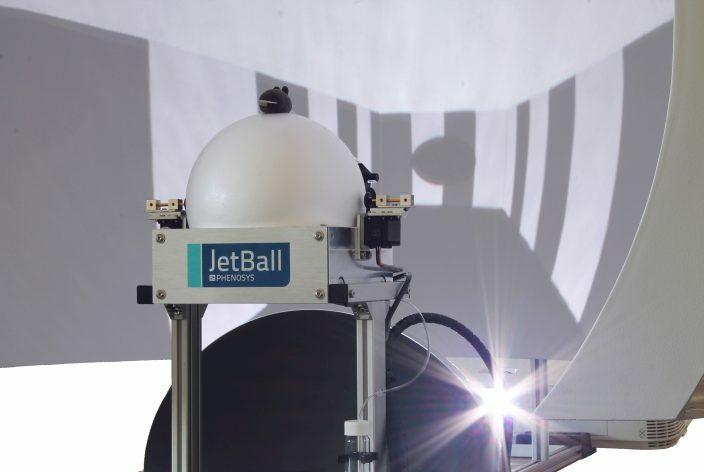 The JetBall, an air-cushioned spherical treadmill allows a restrained animal to navigate in a virtual environment. The animal can be examined with electrophysiological, imaging and optogenetic methods while it performs behavioural tasks employing navigation, cognition, learning and memory. Data transfer system to combine JetBall data with external data. Neocortical neural coding during decisions. We thank Dr. Christoph Schmidt-Hieber for supporting the development of our dome sphere that is based on his original designs. Each maze is available with mode for free or linear run. 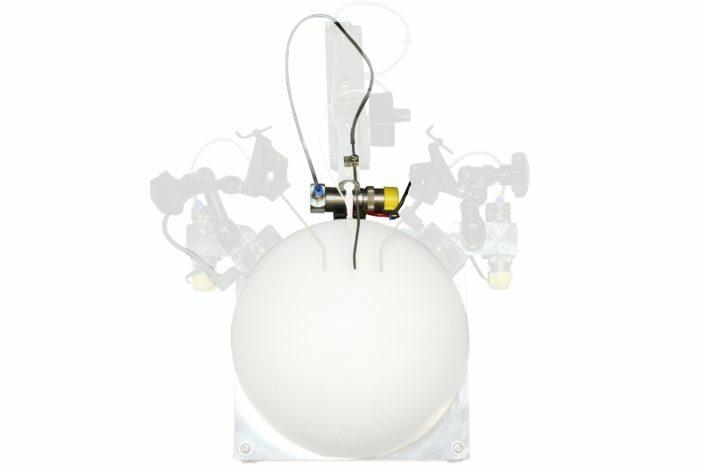 Basic package includes one Ball Holder. Also useable as a stand-alone product without a virtual reality system. Also available as a stand-alone product without a virtual reality system. Basic package includes two balls. Retractable: position is adjustable, servo-driven. Lick Sensor: a drop of water is only delivered when the animal licks. Frontally directed tube; moved with retractable reward system. Air flow when animal approaches virtual walls. Twin system for left and right whiskers, position adjustable. 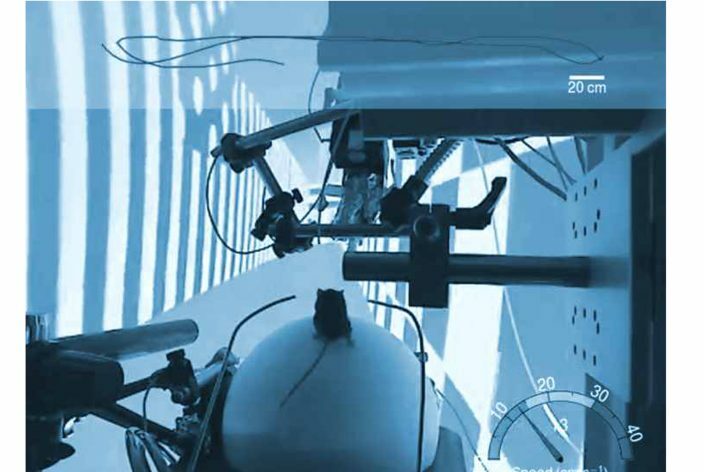 To stop the spherical treadmill, e.g., at the end of a virtual corridor or after a wrong decision in a Y-maze. E.g. to use a sound as a landmark. E.g. to combine an odour with a virtual landmark. Head Holder with stand for mice with 4 bars. 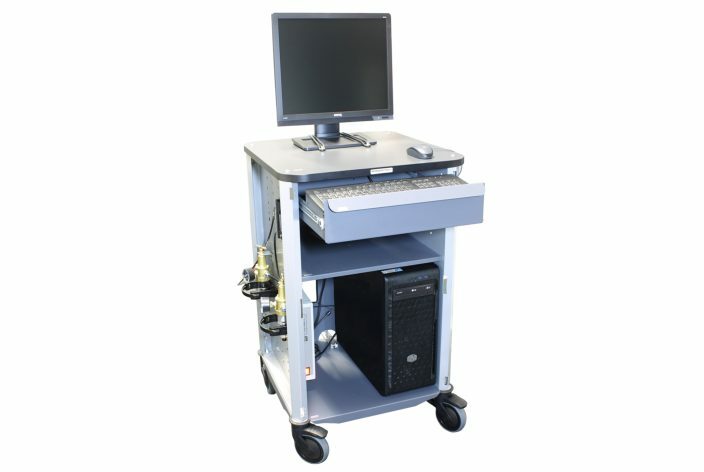 For optogenetics, imaging or electrophysiology. Inside view of VR projection dome with JetBall and corridor maze. Navigating mouse in a virtual corridor. 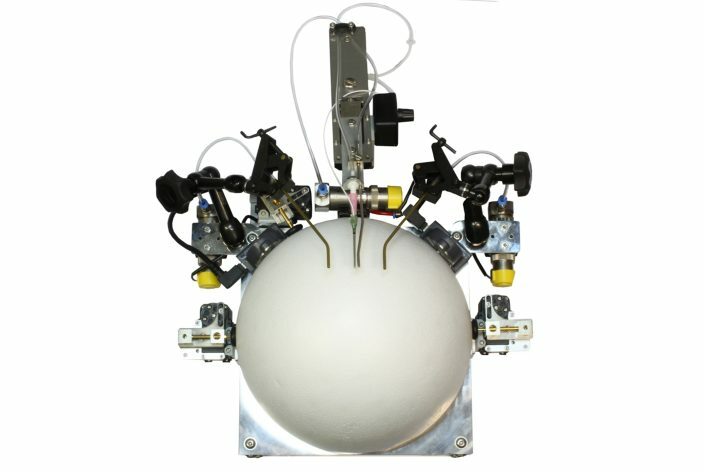 Aluminium Ball Holder with polystyrene ball and the various operant modules (view from the top). 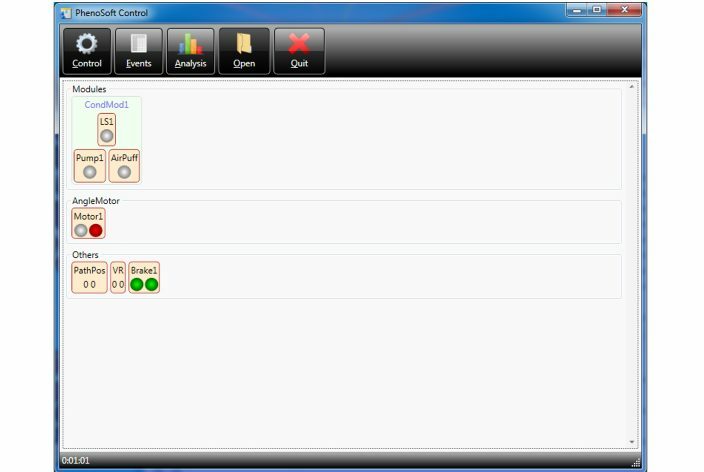 The modules are highlighted in the following pictures. 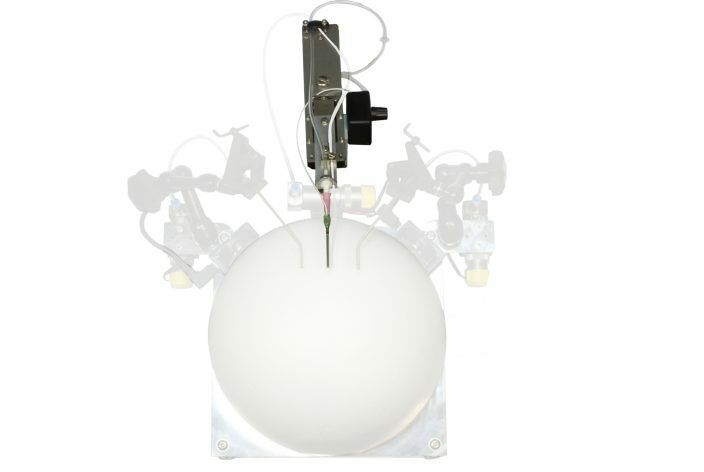 Mounted on the retractable operant device of the Ball Holder and lick sensor. 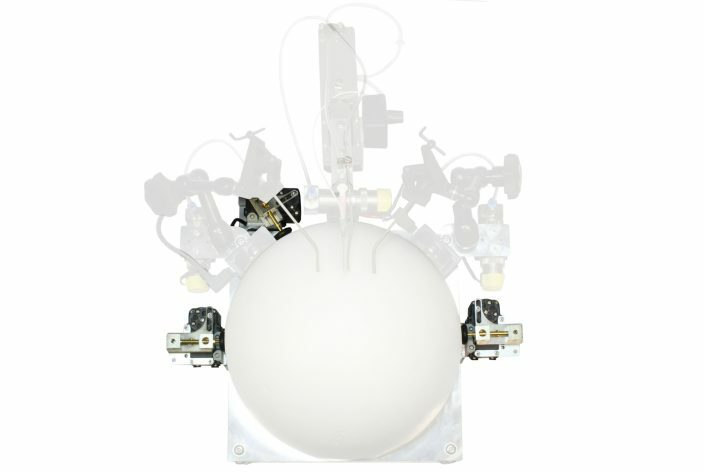 Mounted on the retractable operant device of the Ball Holder. It consists of a metal tube connected by plastic tubing to a valve. 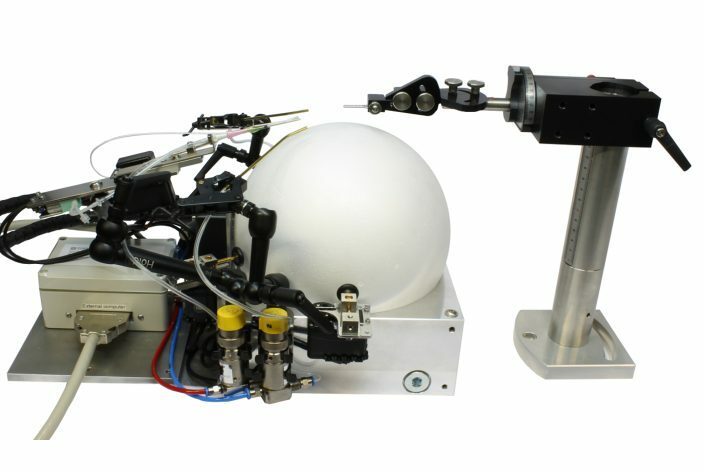 The valve is connected to a flow meter, pressure regulator and the compressed air system. Consisting of two lateral and a frontal servo-driven brake. 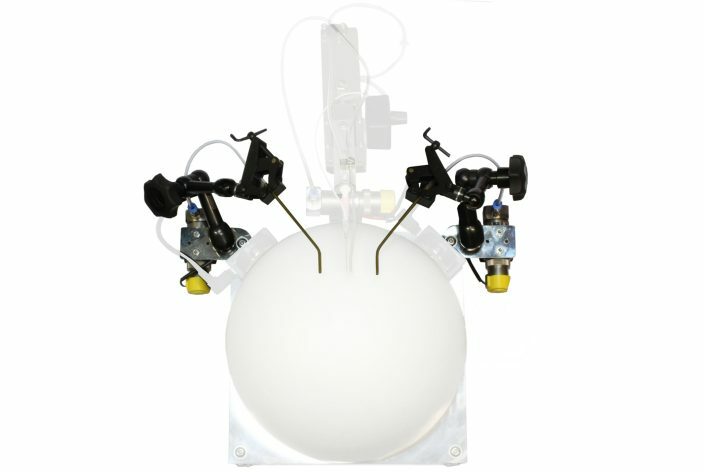 Consisting of two metal tubes mounted on articulated arms that are attached to the Ball Holder. Plastic tubing connects the tubes to the valves of the compressed air system. 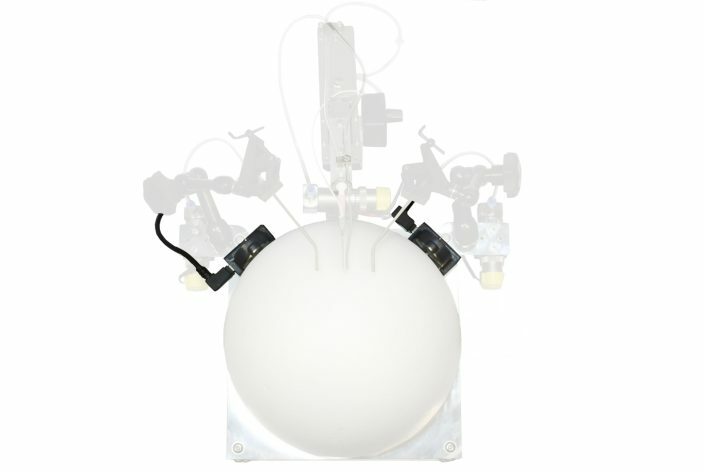 There are two sensors measuring the movement of the polystyrene ball. Ball Holder (view from the side) with head holder for fixing the mouse (on the right side). Basic software for all products by PhenoSys. Control of hardware components. 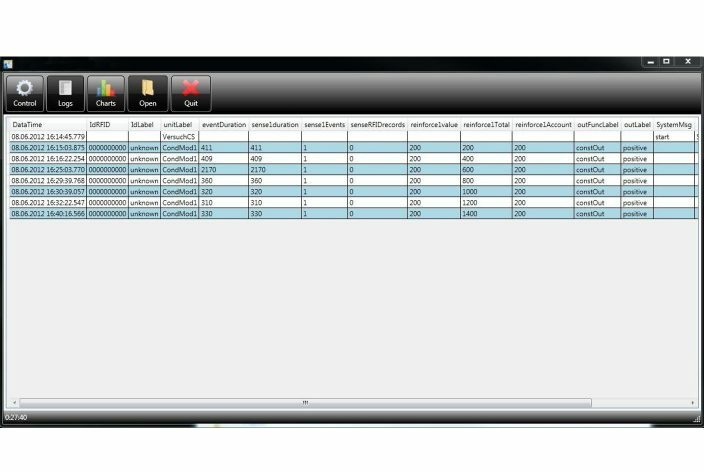 The log file containing the experimental data is written in a CSV format and is automatically saved. 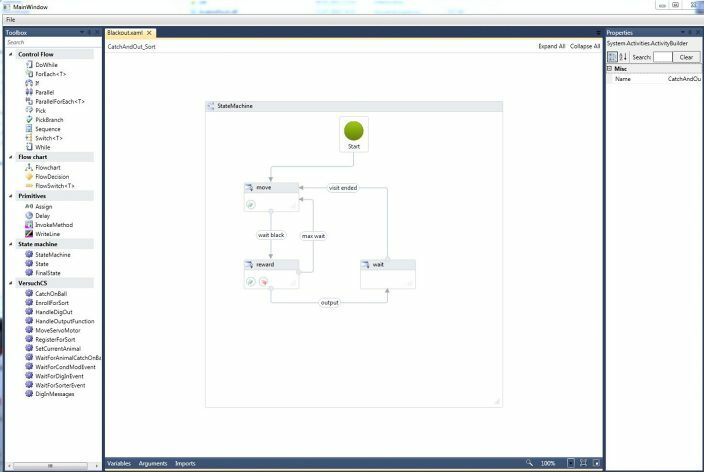 Experimental schedules are defined with the help of state diagrams by using predefined activities from PhenoSoft.